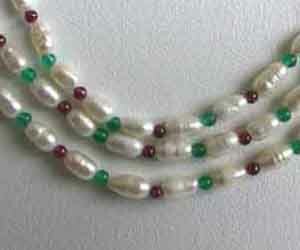 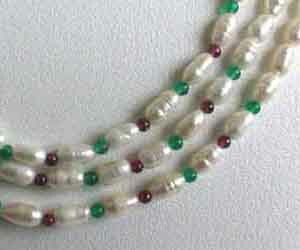 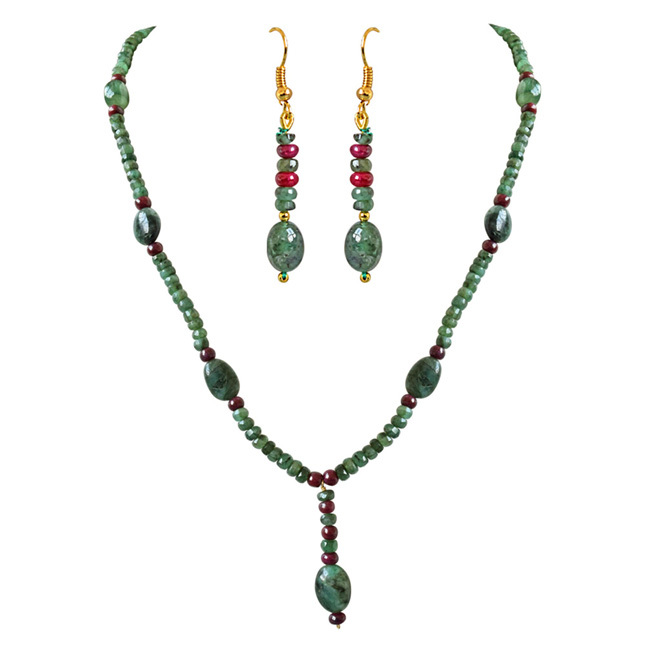 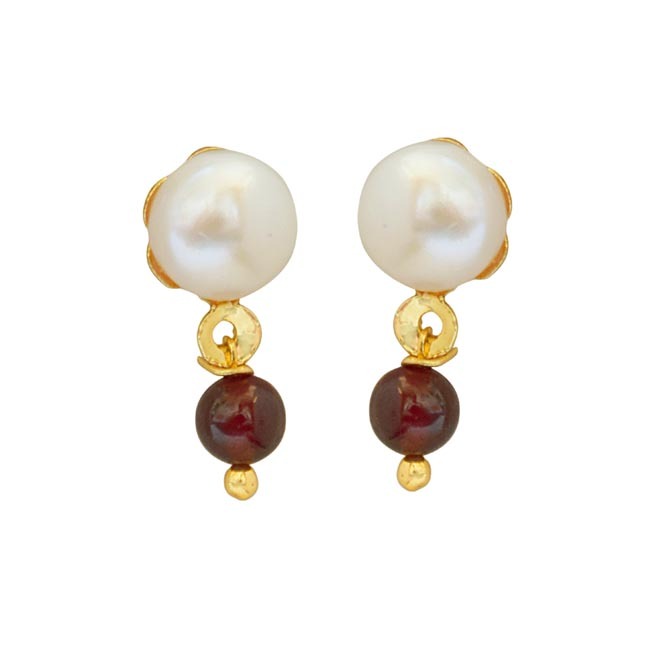 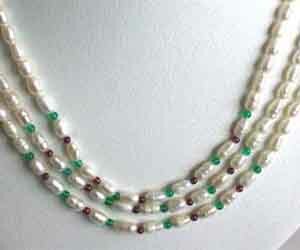 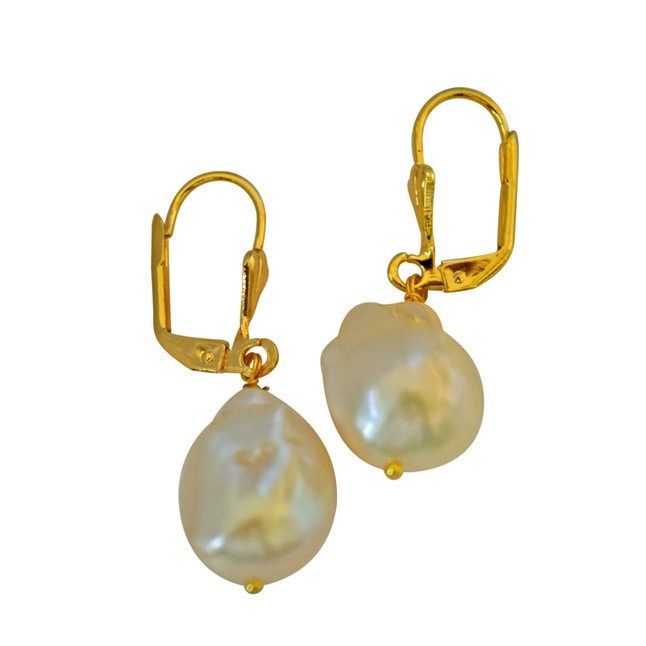 The rare and true quality of this fine three line elongated pearls with GreenOnyx and Garnets is its pleasing purity. 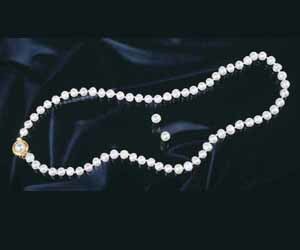 What pleases you? 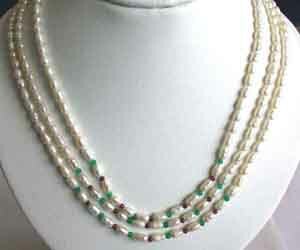 Pearl Length: 4/5 mm Necklace Length: 16"/17"/18 "
I WAS PLEASED ABOUT QUICK SETTLING OF RETURNED ITEM. 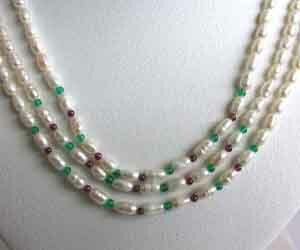 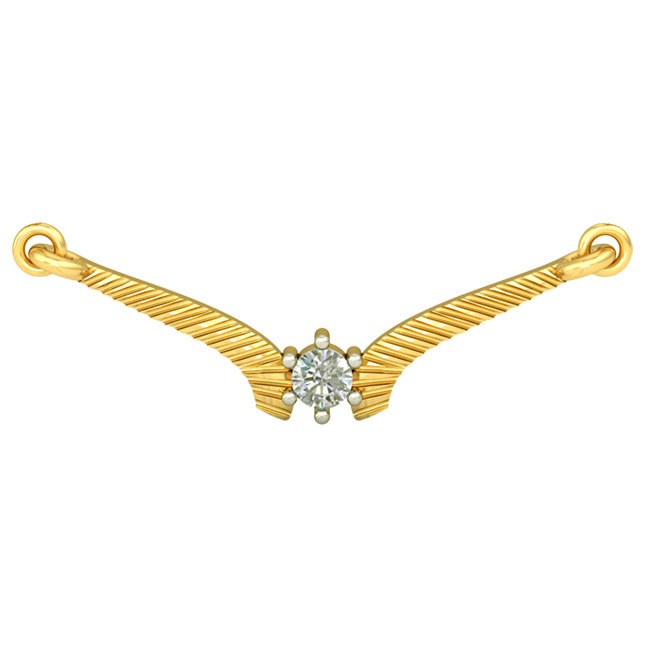 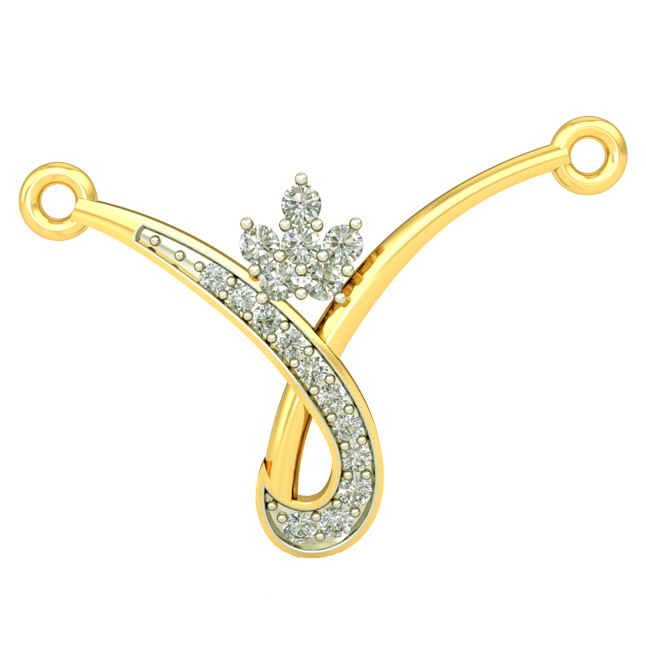 A beautiful, stunning necklace, Im very pleased, easy transaction, thanks.